QUEEN VICTORIA, first type, 1855, with filletted head of Queen Victoria left, by James Wyon. Slight obverse rim bruises at 4, 6, and 9 o'clock, light hairlines, otherwise extremely fine or better and rare in this condition. Private purchase from Greg McDonald, 12/10/2005. 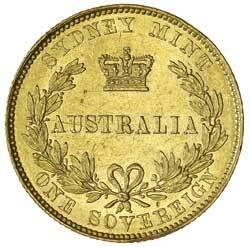 QUEEN VICTORIA, first type, 1855. Surface marks, good very fine. 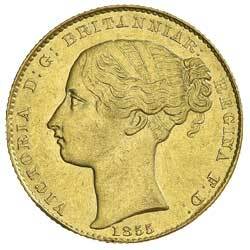 QUEEN VICTORIA, first type, 1855. Very fine.